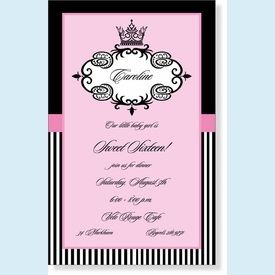 Show her the royal treatment with this invitation designed for a princess! 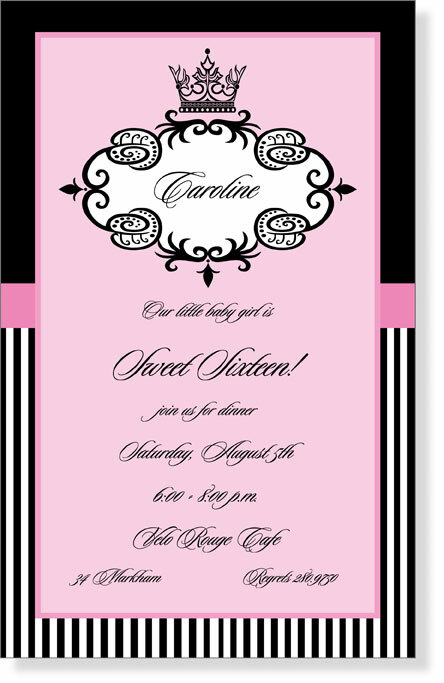 Pink and black combine for a regal look. NOTE: Only 2 sets left!